Terrain/environment: Woodland Park itself pretty much lives up to its name: It’s a forest. It has big, beautiful trees with bark-filled paths winding through. I think it was something of a downward slope going from north to south. People: I ran the length of Woodland Park and then out on the street and around Green Lake in order to get my miles in. There were very few people in Woodland Park itself, except for those who were taking their dogs to the off-leash dog park. Observations: There are some neat recreation spots within the park, such as picnic tables, the dog park, and a horseshoe range. But it isn’t a great running spot and it’s so close to Green Lake that it makes more sense just to go there. Would I go again? Probably not to go running. It’d be fun to bring some friends to play horseshoes, though! 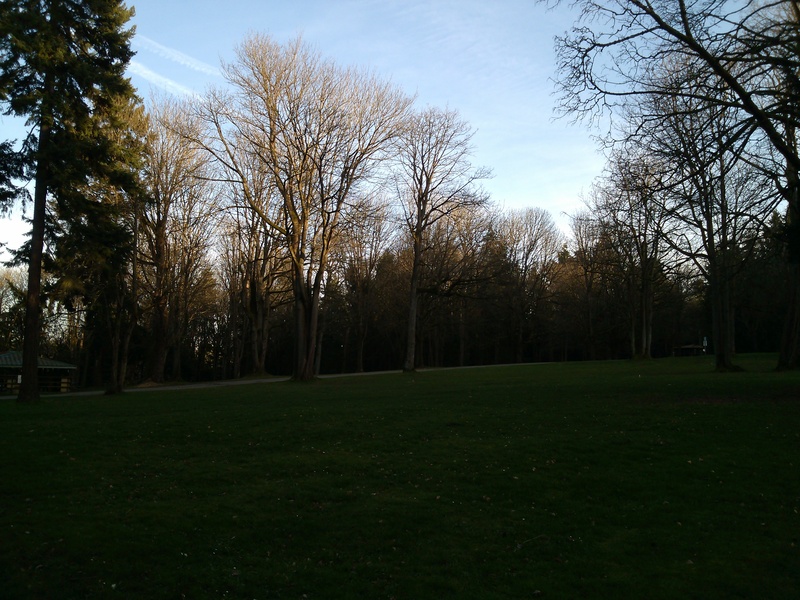 This entry was posted in A Run in the Park and tagged forest, Green Lake, Phinney Ridge. Bookmark the permalink.